How many SEOs out there think it is a bad idea to have your story or web page's headline hyperlink back to the page? Well, if you want to ensure your articles are crawled properly by Google News then you might want to remove the hyperlink. For example, what if I made the headline above, the line that reads "Hyperlinked Headlines May Hurt Your Google News SEO" a hyperlink back to this article... Would that hurt my chances of Google crawling, indexing, and ranking this story? You would think not. Some of the top blogs, news sites and web sites have their headlines hyperlink back to the page. Heck, we had it on our previous design but left it off of here because it felt redundant to our breadcrumb trail hyperlink back. 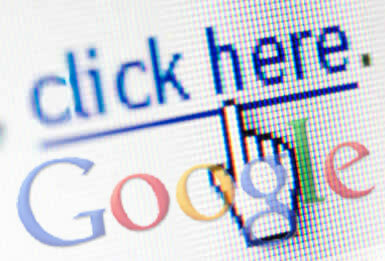 Most sites, especially SEO blogs have the headline hyperlink back to the story URL. Our system often struggles to crawl article pages with hyperlinked headlines. If you remove the hyperlinks from the headlines on individual article pages, we may be able to crawl more of your content. This is the first time I have ever seen a Googler or even an SEO say that hyperlinked headlines can cause crawl issues. Branko, an SEO, actually documented that you should not hyperlink your headlines for Google News back in 2009. Update: As I updated above, Branko actually documented and if you look at the old thread he pointed to it actually links to a help document that reads, "In your article page, avoid using the article title, or a substring of the title, as an active hyperlink." But in general, if there's a discrepancy between the HTML title tag and the title in the HTML body, that makes it more likely that we'll have trouble determining what the correct title for the article should be. It doesn't sound like you made any specific changes right before you started seeing this problem, but of course if you did, that's an obvious place to troubleshoot as well.